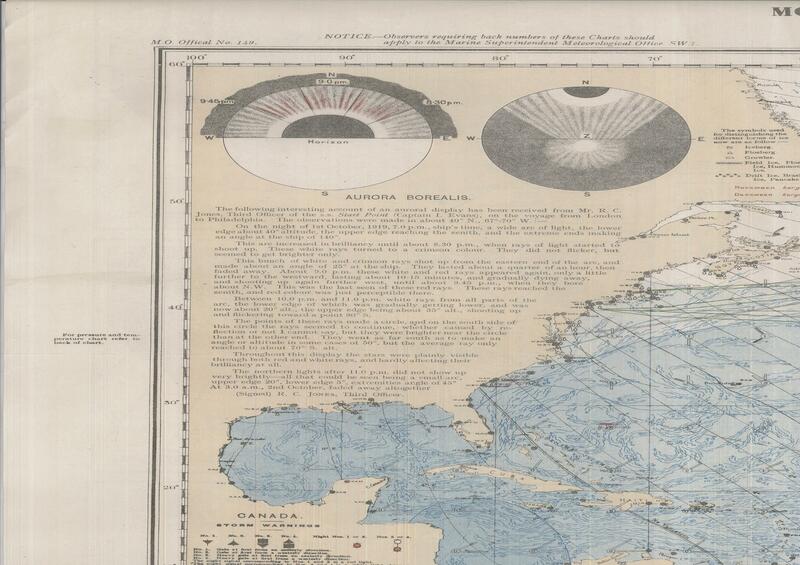 While processing some maps recently map staff found, on a ‘Monthly Meteorlogical Chart of the North Atlantic Ocean’ for January 1920, this lovely description and drawing of the Aurora Borealis seen from onboard a ship sailing between London and Philadelphia. The Aurora are caused by atoms and particles hitting the high altitude atmosphere, the particles coming from the Sun’s solar wind, and then entering the Earth’s magnetic fields at the poles. This entry was posted in Uncategorized on 21 May 2013 by michaelathanson.